Australian countertenor David Hansen handles Handel so well! If you want more of David in Handel the place to be is Stockholm in Sweden the coming months. In September – November he will sing the role of Arsamene in the Handel opera Serse (Xerxes) together with Malena Ernman in the title role. For more information on David in Handel’s Serse in Stockholm see here. This production premieres 12th September 2014. You could follow David on his web site, Facebook and Twitter. This post was first published 10-09-2014. Last revision 11-09-2014. Posted in Countertenor David Hansen, Countertenors on September 10, 2014 by Odd Pavarotti. 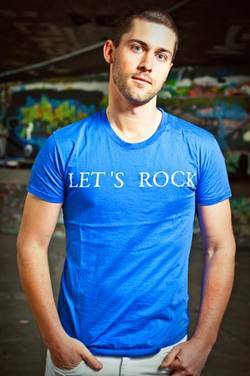 As some of you might know, the wonderful Australian countertenor David Hansen lives in Norway. David made an interview on Norwegian television in September this year. 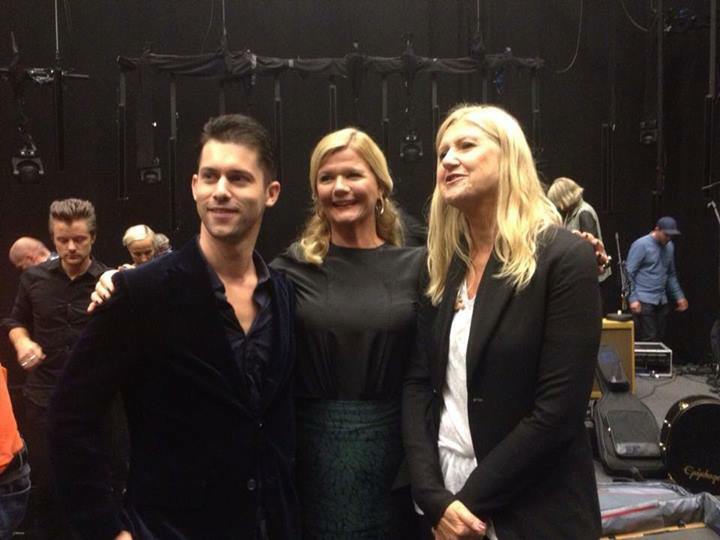 The interview took place on the talk show “Lindmo” on the public broadcaster NRK, on its channel 1, on 14 September 2013. The talk show host was Anne Lindmo, and the other guest together with David was the Norwegian rock singer Anne Grete Preus. The interview with David started in Norwegian, then shifted back and forth between English and Norwegian, which made the interview “a wonderful lingual confused conversation”, as the host concluded. Below is the YouTube video of this interview with David. Miguel Pérez Valiente has added the English subtitles. Translation of the Norwegian dialogue into English is made by yours truly, aka. Odd Pavarotti Blog. Miguel put this all together and published the video. Muchas gracias, Miguel! And guess what! 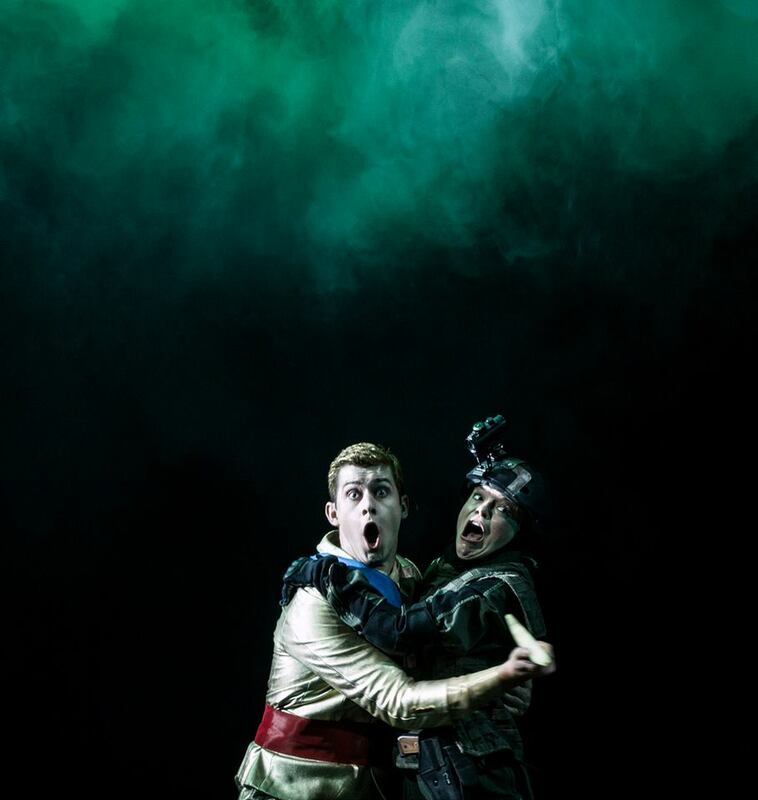 The interview also contains David singing the aria “Son qual nave ch’agitata” from Artaserse by Riccardo Broschi. You can listen to this aria and many more wonderful arias on David’s debut solo album Rivals. Read about and listen more to David here and here! Enjoy this wonderful countertenor in this charming interview! And when you hear him perform you will definitely want to come back for more! All of you will remember his name now: David Hansen. And David continues to conquer the world. You could follow David on his web site, Facebook or Twitter. This post was originally published 29-11-2013. Last revision 29-11-2013. Posted in Countertenor David Hansen, Countertenors on November 29, 2013 by Odd Pavarotti. About ten months ago I wrote my first blog post on this very blog about the very talented Australian countertenor David Hansen. Since then David has become even more known and appreciated throughout the world. I’m sure there are better ways in measuring David’s rising popularity than this, but my first blog post about David is my most popular blog post ever! Be that as it may. What is quite clear is that more and more people out there are discovering David’s wonderful voice! So it’s time to present more glorious singing from the wonderful Australian countertenor David Hansen! Here we go! Let’s start with some Handel arias! In the first video David Hansen sings “Quella flamma” from Arminio with Nicholas Daniel on oboe from a concert at the Risør Chamber Music Festival in Risør, Norway in 2012. What a magnificent musical collaboration! In the next video David Hansen sings “Se in fiorito” from Giulio Cesare with Øyvind Bjorå on violin. I believe the video is from a performance around 2010-2011 in Oslo, Norway. Wonderful! I’m just thinking … Wouldn’t that performance be even better with a dove and a full orchestra? Let’s see! David Hansen sings together with the violinist Øyvind Bjorå and the Oslo Philharmonic Orchestra conducted by John Helmer Fiore in a performance from 2010 at the Norwegian Opera in Oslo. What a classy and fun performance! The fourth video is also the last Handel video in this blog post. For more videos where David sings Handel see my first blog post about him. In this video David Hansen sings “He was despised” from Messiah with the Melbourne Symphony Orchestra conducted by Graham Abbott. I’ve heard David sing Messiah live two times. Lucky me! After Handel it must be time for some Vivaldi! David performed the role of Ottone in the Vivaldi opera Griselda at the Pinchgut Opera in Sydney in November/December 2011. See my first blog post about David for two more wonderful arias from that opera. In the next video David Hansen sings the aria “Vede orgogliosa l’onda”. Orchestra of the Antipodes is conducted by Erin Helyard. I have no words! We end this David Hansen extravaganza with Mozart. In 2012 David performed the role Cherubino in the Mozart opera Le Nozze di Figaro at Teatro Verdi in Sassari in Italy. In the last video David Hansen sings “Voi che sapete” from the rehearsals on 28th October 2012. This could indeed be considered a victory for the countertenor voice as the role of Cherubino is most often sung by a woman! Bravo, David! This year has already been a wonderful year for David with several engagements in opera and oratorios, as well as many solo concerts, in Europe and in Australia. Recently David’s début solo recording Rivals was released on Deutsche Harmonia Mundi (a Sony Classical label) on CD, for download on iTunes and for streaming on Spotify and elsewhere. Rivals has received many great reviews. Surely this must be the countertenor CD of the year! Read about and listen to samples from Rivals on my blog post. This fall David is performing at the Norwegian Opera in Oslo in his debut as Prince Go-Go in the Ligeti opera Le Grand Macabre. I was so lucky to see the première and David was wonderful in this very demanding role. In December this year David will return to his home country Australia to sing the title role in the Cavalli opera Giasone at the Pinchgut Opera in Sydney. I guess you haven’t missed the poster for this performance at the top of this blog post? This and so much more to look forward to! We all remember his name now: David Hansen. And David has indeed conquered the world. This post was originally published 13-09-2013. Last revision 13-09-2013. There are many new countertenor albums out this year. Some albums are already out, and some will be released in the coming months. For lovers of the countertenor voice every one of these albums are worth mentioning. 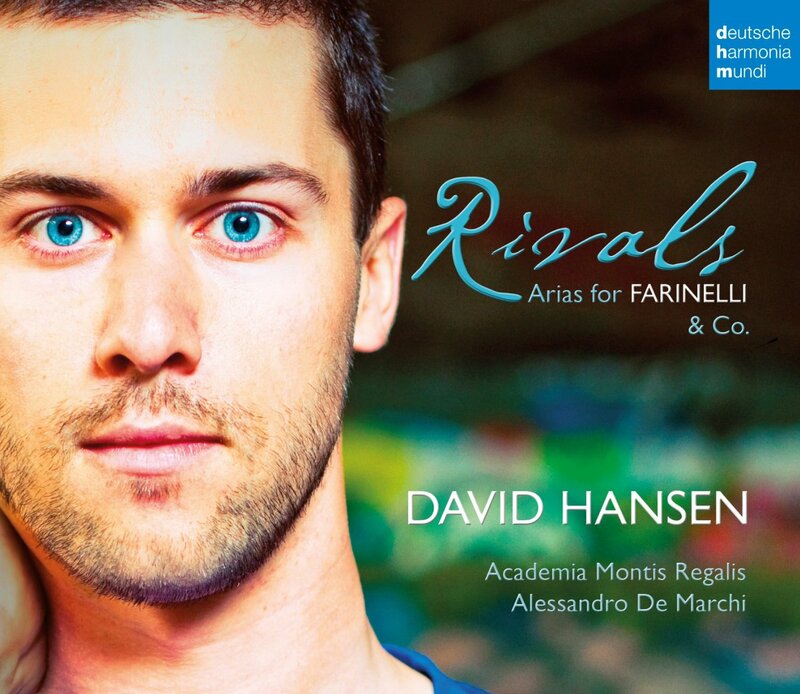 However, one countertenor release of 2013 simply demands special attention: Rivals, the debut solo album by the Australian countertenor David Hansen. The full album title is Rivals: Arias for Farinelli & Co., and contains nine arias that were sung by Farinelli and his castrato rivals: Caffarelli, Carestini, Bernacchi among others. Arias sung by Farinelli and his contemporaries have been recorded before, but what is great with this album is that eight of the nine arias are world première recordings. Alessandro de Marchi conducts Academia Montis Regalis Orchestra. Rivals will be released on Deutsche Harmonia Mundi (a Sony Classical label) on CD, for download on iTunes and for streaming on Spotify in late August (in some countries in early September). Listen to samples from all album tracks, and watch the videos below. The first video is about the album and the last two is about two of the arias on the album. What a promising debut! Surely this must be the countertenor CD of the year! This post was originally published 16-08-2013. Last revision 16-08-2013. Have yourself a very baroque Christmas! If you’re a music lover there’s no time like Christmas time. Before and during Christmas there is music all over. On the radio, on tv, on your computer, and on all the various devices you own. And there are concerts in schools, churches, concert halls, and in the streets. There are concerts with popular Christmas songs and there are concerts with a more traditional or classical repertoire. Musically it’s quite clear that Christmas can be a very good time! I attended two Christmas concerts this year, both with baroque music. I love baroque Christmas music! 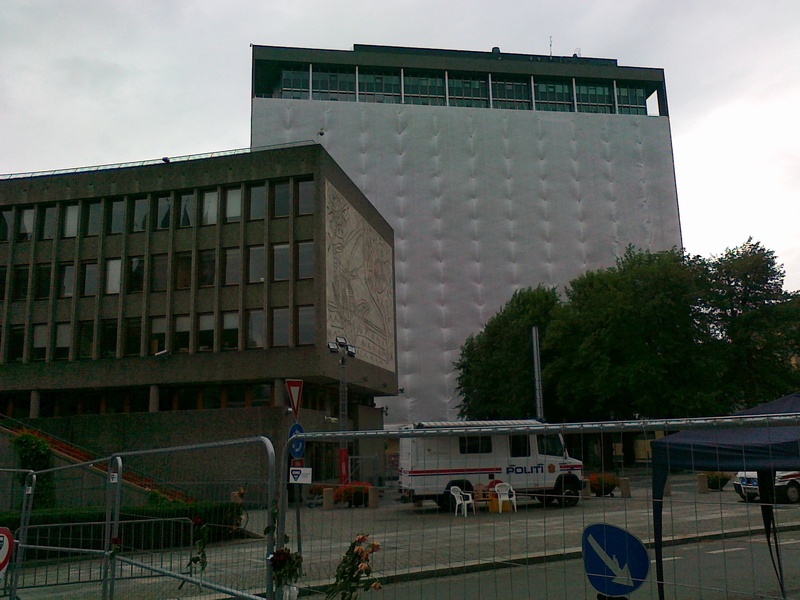 The first concert was a performance of the Handel Messiah in the Uranienborg church in Oslo (picture above). It was an absolutely wonderful concert! The best Norwegian baroque orchestra, Barokkanerne (“The baroque people”), the local church choir and the four soloists were all great. I must admit I travelled to Oslo first and foremost because my favorite countertenor was one of the soloists! The Australian countertenor David Hansen sang the alto part gloriously! Especially the aria “He was despised” was beautifully sung. Hear David sing this aria in the video below. Later that same week I attended a Christmas concert in the local church in my home town Hamar. The concert was performed by local forces. The programme at this concert was: Vivaldi: Gloria (RV 589), Bach: Cantata no. 63, ”Christen, ätzet diesen Tag” (BWV 63), and two Christmas carols. That concert really got me into the Christmas spirit! It’s so wonderful to have so talented musicians and singers in our community! Imagine this: In one week I heard in concerts works by all the three great baroque composers: Handel, Vivaldi and Bach! Lucky me! So now I’m so ready for Christmas and more good music! But for now I wish you all a very baroque Christmas! I leave you with good performances of Vivaldi’s Gloria and the Bach’s Cantata no. 63! Enjoy! This post was originally published 16-12-2012. Last revision 16-12-2012. Posted in Countertenor David Hansen, Countertenors on December 16, 2012 by Odd Pavarotti. David was born in Sydney, and after his music studies he made his European début in 2004 for the Aix-en-Provence Festival in Purcell’s Dido and Aeneas. After that his career has moved forward quite quickly with engagements in Australia, Europe, and the US. David is now an international countertenor star. His repertoire is mainly in the field of baroque opera and oratorio, but this year he also performed Sonnets by the contemporary French composer Marc-André Dalbavie. David performed in Norway for the first time in 2007 in the role of Tolomeo in Handel’s Giulio Cesare at The Norwegian opera. I’ve been so lucky this year to see and hear David in both opera and concerts here in Norway. In June I attended a performance of Monteverdi’s Il ritorno d’Ulisse in patria at The Norwegian opera. A fantastic production where David had two or three roles, one in which he had three legs (!!!). In June I flew across most of Norway to the northern town of Harstad to hear David in a solo concert of Handel and Vivaldi arias. What a wonderful concert! An experience for a life time! In September I attended his performance of Dalbavie’s Sonnets in Oslo. This work was new to me, but everybody should experience this new work for countertenor live. I’m so happy I did. David’s recording career has just started. 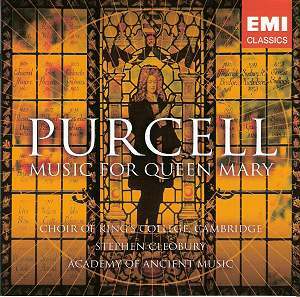 He has recorded Music For Queen Mary by Purcell for EMI Classics, and Ottone in Vivaldi’s Griselda for Pinchgut Opera Live (available from Australia and soon on iTunes). The first two videos below is from that recording sessions (and that’s why David has a microphone attached to his head!). And there’s so much to look forward to! David’s début solo recording will be out on Sony Classical in 2013. David’s recent engagement was as Cherubino in Mozart’s Le nozze di Figaro at Teatro Verdi in Sassari. That was indeed a victory for the countertenor voice as the role of Cherubino is most often sung by a woman! So let’s see and hear David in a sample of his performances. 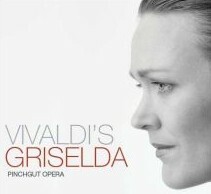 The first two videos are David as Ottone in Vivaldi’s Griselda from Pinchgut Opera in Sydney in November/December 2011. First is the aria “Scocca dardi l’altero tuo ciglio” (which will blow your socks off! ), followed by the aria “Dopo un’orrida procella”. The third video is David talking about his experiences with tackling the role of Ottone. The last three videos are various concert performances: “Vivi, tiranno!” from Handel’s Rodelinda (which also will blow your socks off! ), “Yet, can I hear that dulcet lay” from Handel’s The Choice of Hercules, and “Longe mala”, a motet by Vivaldi. So now I’m sure you all will remember his name: David Hansen. And David will indeed conquer the world.